We traveled to New York for the Labor Day weekend to see my parents and Maggie’s cousins, uncles and aunts for a weekend at my parents house, all under one roof. 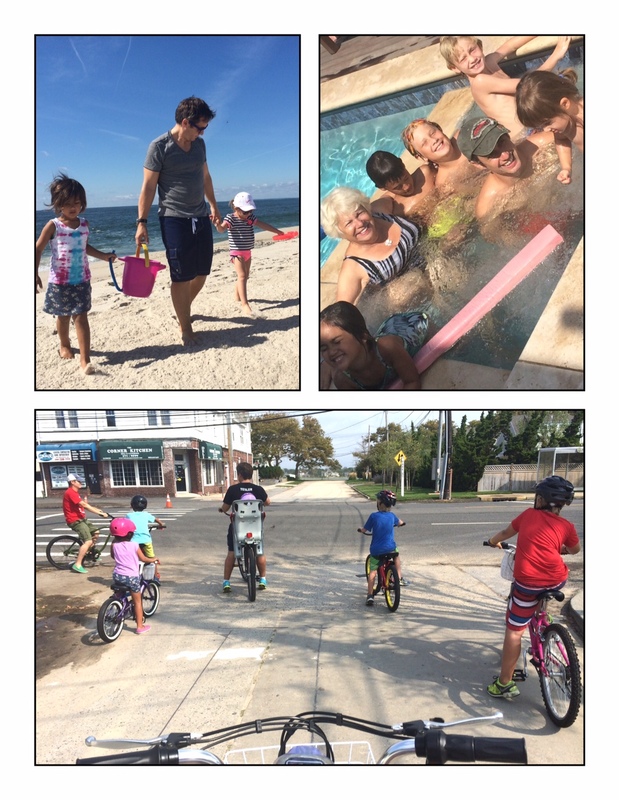 We did the same thing a few summers ago, and it was great – bbqs and lobstah pahties, collecting shells by the beach and more ice cream than anyone should eat. All the things that I always loved about summers growing up. But that was before we knew what we were up against and before she was exhibiting any symptoms. In fact, the last time we did this trip was the first time she started army crawling. So, I guess it’s been awhile. But to the cousins, it was like no time had passed at all. Endless summers for this crew. Just beautiful. And we could all pretend to be normal for a little bit. This entry was posted in Uncategorized and tagged day, labor. Bookmark the permalink.